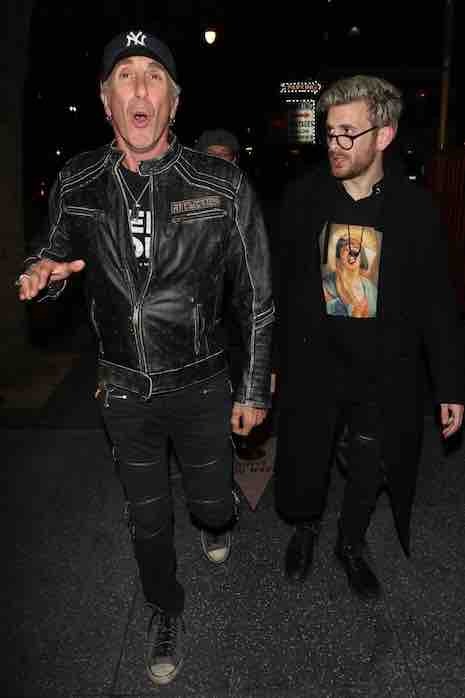 New Yorker Dee Snider (Twisted Sister) is in LA visiting his youngest son Cody Blue Snider, 29, who is, surprisingly, not following in his fathers rock star footsteps. It’s nice to see a celebrity kid with ambition and a career – Cody happens to be a successful filmmaker and video director. He’s currently working with New Line Cinema developing a project with Edward Norton. Father and son spent the evening catching up at Avalon nightclub in Hollywood.